Do I want a ‘real’ meadow, with typical native meadow plants, or something more like the colourful collections of poppies and other annuals that made the London Olympic ‘meadows’? We hope it’s the former, but we’ll admit to being biased! How shaded is the land? Meadows can be developed around well-spaced orchard trees, but heavy shade from taller or denser trees isn’t conducive to a meadow flora. How rich is the soil? A knowledge of the recent management history will help. You don’t necessarily need to test nitrogen, phosphorus and potassium levels – if it’s currently growing nettles, docks or a lush, green growth of rye-grass or other agricultural species it’s likely to a bit on the rich side. 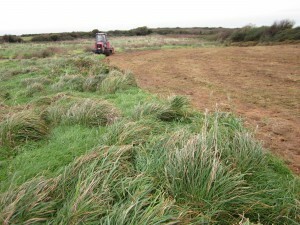 This doesn’t mean that you can’t start making a meadow, it just means that you can’t expect good results straight away. 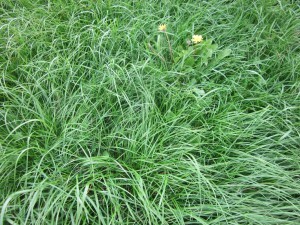 Start cutting and removing the grass – several times a year is fine if there are no wildflowers to worry about. 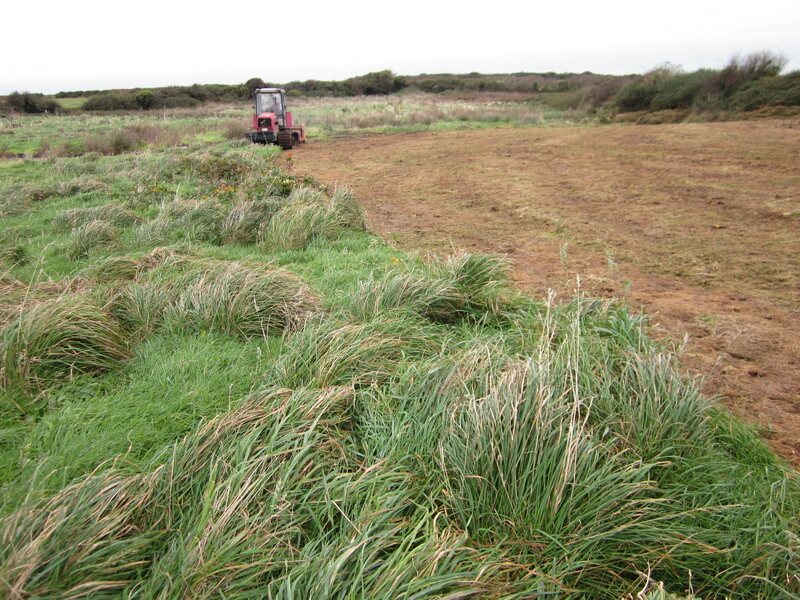 Then perhaps look to see if there are any parts of the field or lawn where the growth isn’t so strong – consider making a start with yellow rattle or our basic ‘Blaencleddau’ meadow mix in these patches. If you have grazing animals, you can graze at dry times outside the summer period, but remember that taking a cut off removes more nutrients than animals, which recycle a proportion in their dung. Ideally, your field should have been left unfertilised for perhaps five or more years. That way, the depleted nitrogen levels will be starting to impact on grass growth, and the sward will be receptive to the less competitive wildflowers. If you’re a patient person, or if you happen to have some wildlfower-rich grassland on your doorstep, then you could be purist about it and let nature introduce your meadow plants. If you’re surrounded by a green desert of silage fields, and not prepared to wait for a decade or more, then give us a call. Remember that wildflower meadows need mowing (between mid-July and mid-August), and the cuttings need to be taken away so look at your options – scythe and rake, ride-on mower, agricultural contractor, neighbouring farmer etc. 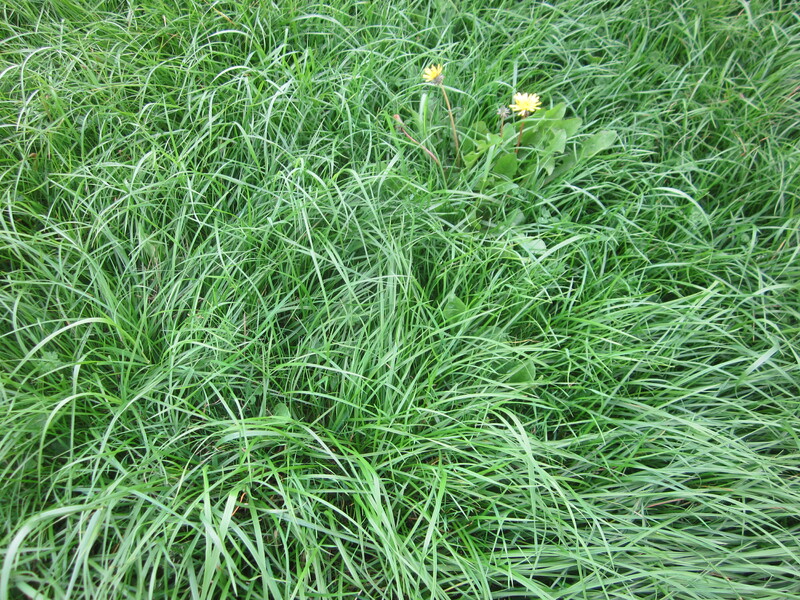 Small lawns may be easily managed; conversely it may be easy enough to arrange cutting over a few acres. A single acre – perhaps with a few planted trees within it – may prove more troublesome. Lastly, remember that really good meadows are the product of decades of careful management, so don’t expect too much too quickly!